Thanks for staying with me last week. It was a hard, but important subject to cover. This week was much lighter on the news front. I was really excited to see a bunch of cool kids in this weeks science news. I loved science as a kid, still do, and I’m trying my best to make science fun for the next generation. It is always nice for me to see cool things happening with kids. At Southampton University, in England, nine-year-old, Daisy Morris, discovered a new Pterosaur. Not only was it a new Pterosaur, but it was a whole new genus! Not only that, but the new specimen was named after her, Vectidraco daisymorrisae. I have some serious envy. In Oxford, ten-year-old, Bruno Debattista, discovered a 300-million year old horseshoe crab footprint. You have to check out his picture, he has a great smile. At the end of 2012, Eric Stamatin and Andrew Gainariu of Michigan, found a Mastodon axis bone in Eric’s backyard. If I were them, I would be out digging every day. For the last of the fossil finds, we go to Russia. Yevgeny Salinder, an eleven-year-old, in Cape Sopochnaya Karga, found an almost fully intact Mammoth. Paleontologists nicknamed it after Yevgeny, who goes by Zhenya. Nineteen-year-old (not really a kid, but he’s younger than me) Boyan Slat, from Delft, has designed a ocean going machine that would clean up plastic debris. He has a TED talk up that is really good. 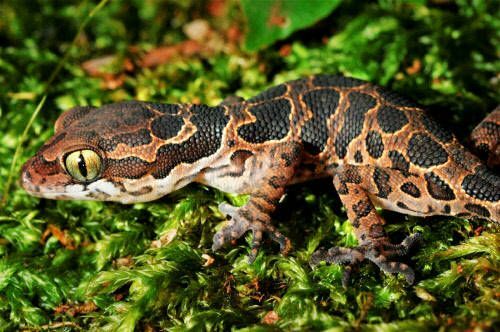 For your weekly picture, I give you the Geckoella jeyporensis, which was re-discovered in India. It is super cute. I have been writing a lot on my own novel, and reading fiction, so I don’t have a good book for you this week. I can tell you that I’m very much looking forward to My Beloved Brontosaurus, coming out this April. The author (one of my favorite science writers) is Brian Switek, who I have been following since I happened upon a post of his about giant ground sloths. He will be in Portland in May, giving a lecture at Powell’s! I’m very excited. You can find him on Twitter @Laelaps. Thank you for reading, feel free to share. This entry was posted in Weekly Wrap-up and tagged Brian Switek, fossils, Geckoella jeyporensis, kids in science, Laelaps, ocean cleanup, Vectidraco daisymorrisae, WWU on March 29, 2013 by Dylan Benito. Hi! My name is Dylan Benito. I am primarily a Technical/Science Writer and Editor. I also write fiction, blog posts, and edit many different kinds of projects. Please feel free to contact me at dylancbenito@gmail.com for all of your writing needs.